The main purpose of this program is simply to have something for testing the LEAP#394 AT89C2051 Programmer, and also my first trial of SDCC - Small Device C Compiler. 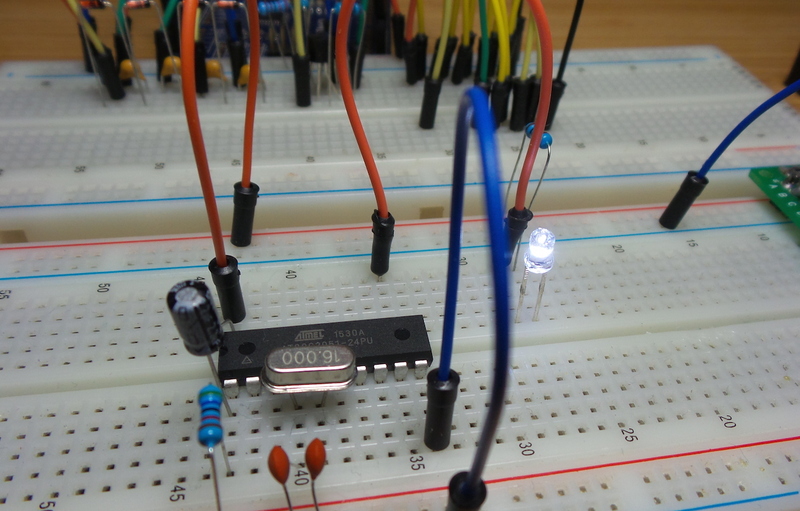 It is almost but not quite the simplest LED blinky program possible. It blinks an LED on P1_0, using a do-nothing loop to approximate 1Hz cycle time. I’m impressed. For a chipset that is meant to be long dead, getting a C toolchain up and running on MacOSX and programming AT89C2051 devices was utterly painless.